This is an optional fun run. Sunday is the best day to view the corvettes. Saturday they have road trip from 9 AM till about 3 PM, so most of the cars will not be there to view. 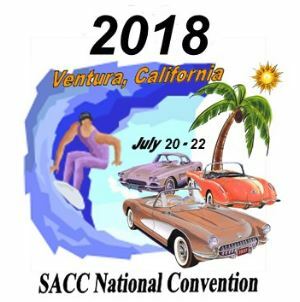 A special convention rate has been negotiated with the Ventura Four Points Sheraton of $169 a night (phone: 805-658-1212). For those wishing to arrive early or stay afterward, the hotel will honor the convention rate for two nights prior to and following the convention. Good Morning Nick & Sheree! First and foremost you guys will love the Z06. I have had two, a 2009 and now a 2016 Torch Red and we would love to have you as Corvettes of Bakersfield members. Not certain of any for sale locally or in the Club for sale however if you decide to purchase a new or used one through our sponsor Three-Way Chevrolet please ask for Robert Villanueva who is a Club Member and also their Fleet Manager who will treat you right. Would love to chat further…please feel free to call me on my mobile at 925-519-7735.